We are traveling to Malacca with baby girl along. How Exciting! 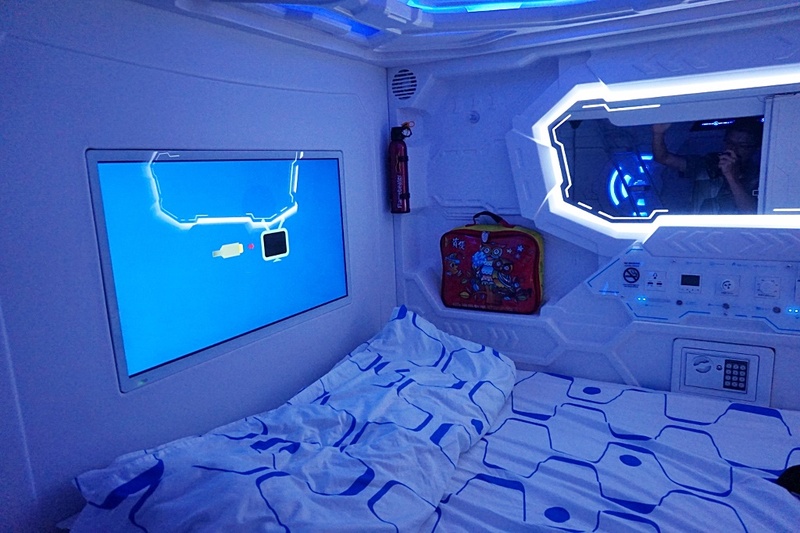 Mummy giving surprise to three elder kiddos with an accommodation inside a Capsule with no swimming pool and playground, no private bedroom or bathroom. They are feeling weird and curious at the same time. 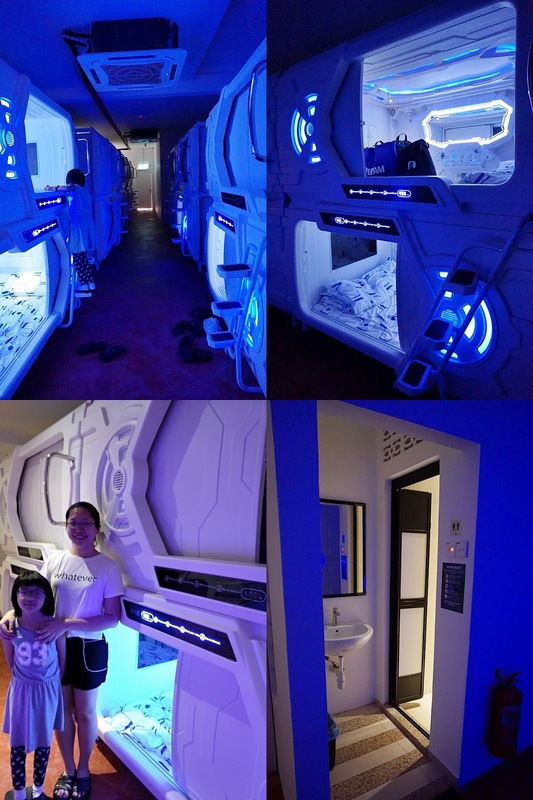 Once we reached the hotel, they are extremely excited and wondering how these Capsule Hotel facilities looks like. 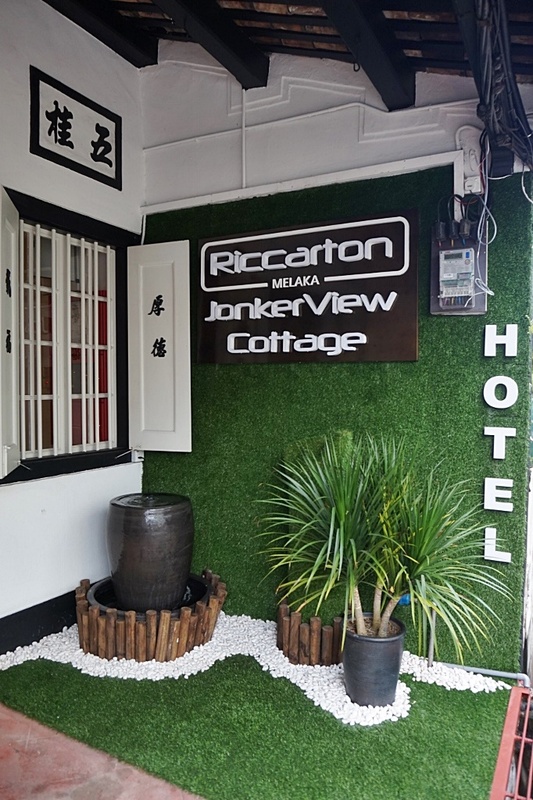 Riccarton Jonkerview Cottage strategically located within 2 minutes from Jonker Street.We managed to park at the backlane or you can park your car merely 30 meters from the hotel at the open space carpark for RM 6 per entry. Greeted with warm welcome by the friendly front desk showing us how to use the room card. First of all, we need to put all our shoes inside the lockers according to our capsule no. Each guest will be given a slippers,a small bag consists of towel and a remote control. But during our stay, the WIFI is not available yet as this hotel is just opened for 3 weeks. Every guest will be provided a complimentary luggage locker to store their baggage safely without crowding their capsule room. 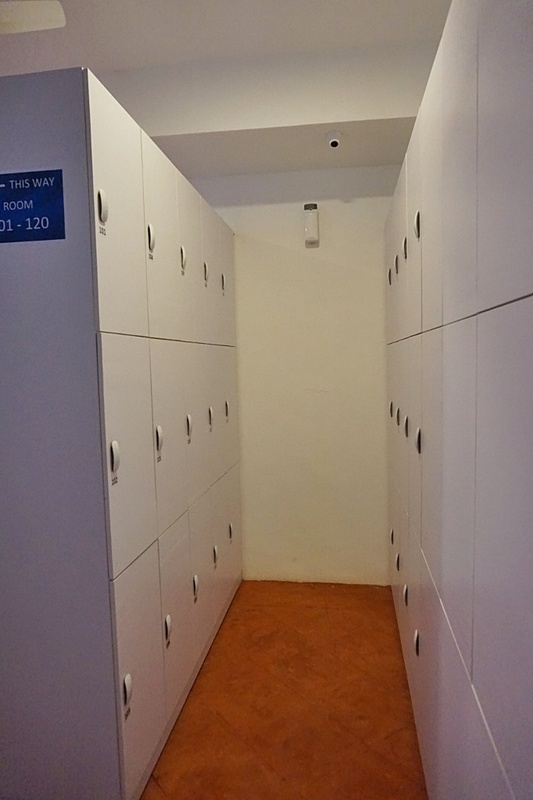 The luggage lockers are installed with electronic security locks to keep your personal belongings safe and sound. 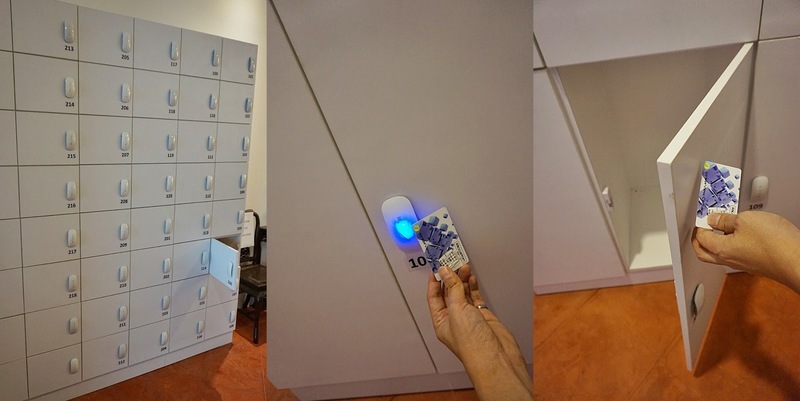 Just use the room card to scan and open the locker. There are also CCTVs monitoring the lockers to safeguard your property. There are around 20 Capsule at the Ground Floor. We took 3 Capsule that perfectly fits 6 of us. 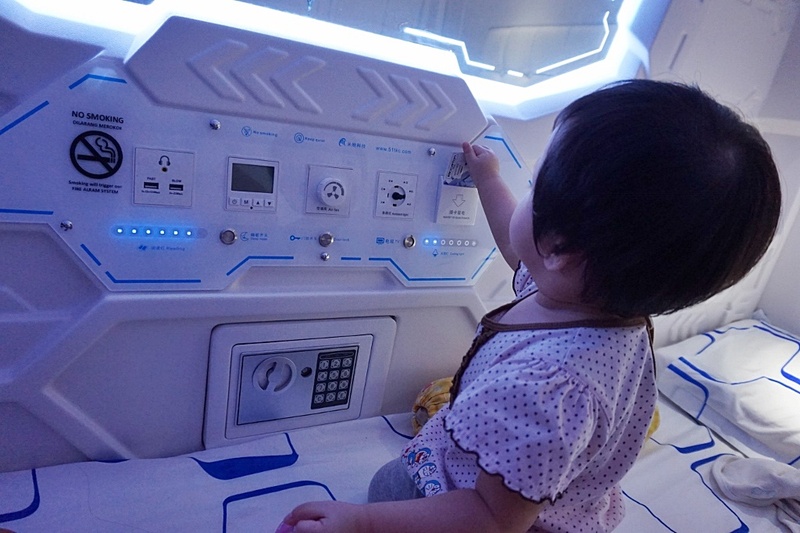 All premium double capsule fits 2 pax,equipped with a set of mattress, pillow and blanket, and has air conditioning ventilation, a smart TV, make up mirror, panic button, night safe, smoke detector and other electronic amenities. 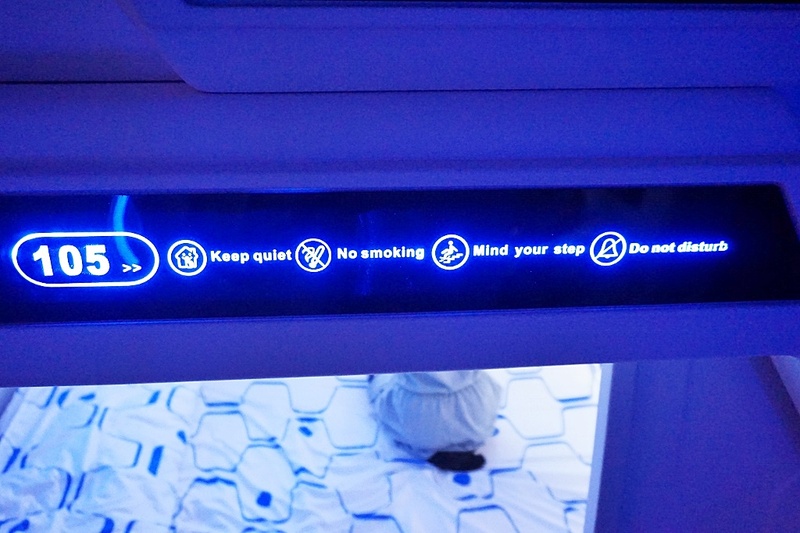 There is an electronic hotel card reader installed on the capsule door to ensure complete safety while you sleep. For additional security, the walkways are monitored by CCTVs. The Capsules are very new and cozy. 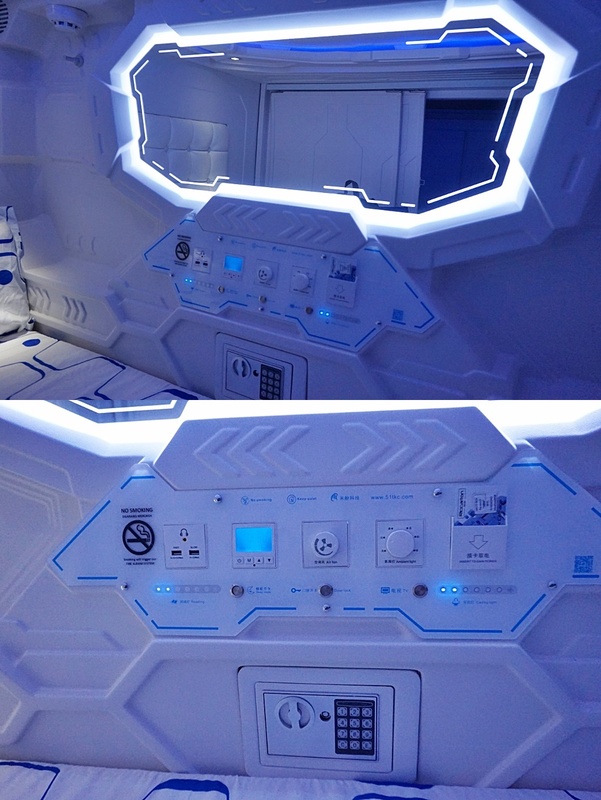 The room card is use to enter our own Capsule,just scan and the Capsule will open. Insert card to on the lights and air conditioning. No Smoking! That's the important house rules. Besides, you also need to be silent, No littering, No phone zone, No Food and Shower first before entering the capsules. Every Capsules will be sanitize and clean daily. Keeping the place clean and hygienic all the time. 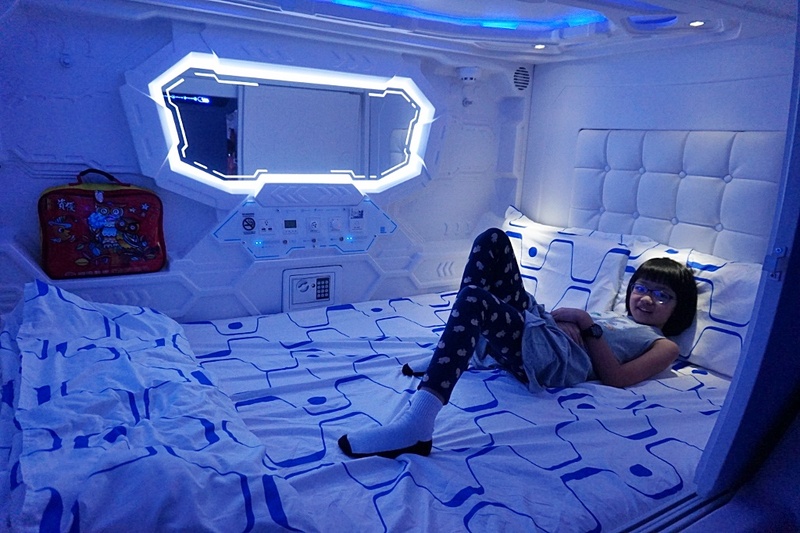 We can adjust the lights for reading / sleep mode, air cond temperature and etc. The blue lights gives me a cooling feeling inside and relaxing atmosphere. Common washroom is separated - Male and Female. 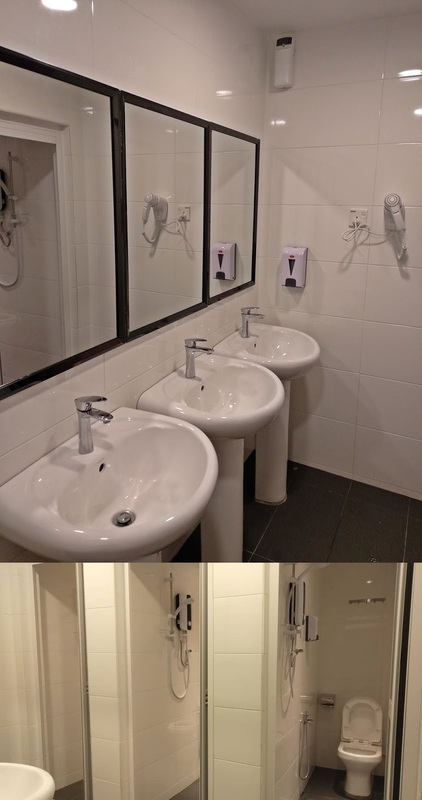 Showers and toilets are a shared facility at the capsule hotel. Comes in modern design with environmental-friendly features. Common area. There are more capsule room at the upper floor. 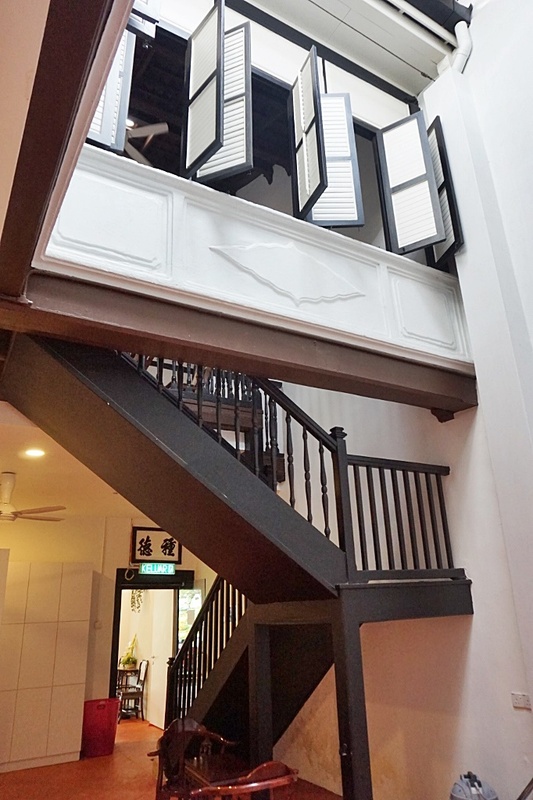 We have a great time enjoying the night atmosphere of Jonker Street and best of all bringing my kids around is so much easier when the hotel is located nearby attractions places, eatery spot and shopping place. 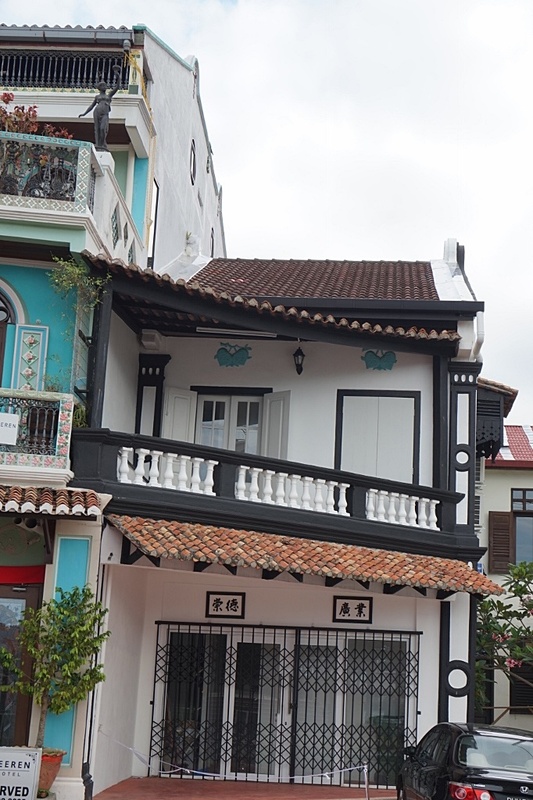 Definitely great choice for travelers and family with young children, So convenient and affordable accommodation that also provides 24-hour front desk service. Pleasant, spacious, clean environment that I won't mind coming back again for my next stay.